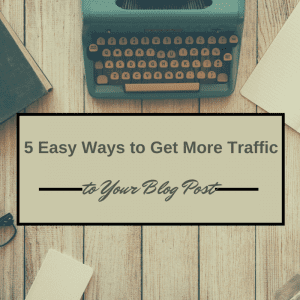 We write blog posts to generate interest and provide valuable content to our readers, but it is so disheartening when we put all this energy into blogging and we don’t feel we get the traffic. I have compiled a list of easy things you can do and I hope you find it helpful. Have you ever noticed how some of your favorite blog articles have a line of text and there is a “click to tweet” link right in the blog article? How cool is that? The reader, (and thus the Tweeter) looks really cool because they are sharing good information to their audience and your blog gets more traffic because your visitor’s followers are clicking on the link back to your blog. This sets you up for a fantastic chain effect of people tweeting your blog, their followers visiting and retweeting! So how is this done? It is actually pretty easy and uses a tool called (very wonderfully named) Click to Tweet. I have prepared a video for you here with instructions on how to accomplish this for your next blog post. There are many good reasons to ask a question of your audience – here are a couple to get you excited about it. It builds the relationship with your audience. The information you are offering is not a one-way discussion, but instead a platform to develop a relationship with those who are currently in your group and with new visitors from outside your group. People do business with people that they know, like, and trust. What better way to start building that relationship than with those who have an interest in what you have written? It helps solidify the content that was read. Think about the last presentation you went to and if the presenter had asked some follow up questions from the group. It is more likely you are going to remember more of what the presenter said because your mind started to recall everything that was conveyed in order to form an opinion or give an answer. Your mind was engaged in more active learning, versus passive learning. By asking a question of your reading audience you are creating an active learning experience. People will comment. Commenting is great for your blog post for a couple of reasons. Other people see it and see that it is a topic worth reading since people took the time to comment. 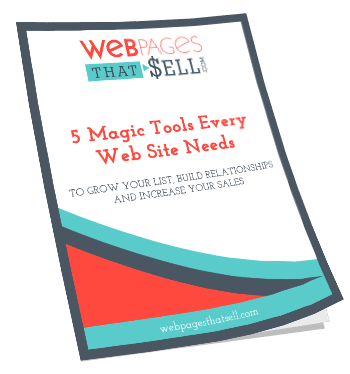 You can set it up so that the comments go to Facebook, which will bring more visitors to your site as well. In addition, when your readers comment you have the opportunity to reply back, which will develop more and better relationships. Use social media share buttons – and share! Ok this one is the really difficult one (at least for me). However it is probably the most important. The more consistent you are the better all your articles are going to be received. If people are in the habit of reading your articles, they will read more of them and your consistency creates a bond that will encourage them to read more. Consistency outweighs quantity, so if you can only write once a week then stick to that. When you are able to get a consistent schedule going, start working your way up to 2 a week and then ideally 3 a week. Also having more content on your blog gives you more content to use on social media which keeps you in the mind of your social media followers. This process was described to me as creating a marketing wheel – by creating a situation where you have more content, it is more like riding a bike versus dragging a square tired wagon! Your readers are visual and they will be attracted to read an article that has a big compelling image. Clear imagery can answer the questions your visitor will have upon visiting your site and article. The questions, “Is this intended for me?” and, “Will I get answers here?” Our eyes are scanning for information that answers those questions and the brain will look at images first. For example, one of my clients who is a mortgage broker wanted to help his audience answer the question about the first step before buying a house. The image had a picture of a family excited to be in their first house. Perfect – the image matches the content. Also the picture shows something that the audience is dreaming for themselves, happily walking into their first house. Then we added the title to the picture in case his audience was not clear about what the picture represented. These are online tools that allow you to make your own blog post images. They give you the right tool dimensions to start with and they also give you some layout options. If you would like to see a tutorial on how to use these tools, below I have some links that can help you out. I hope that you found these tips helpful as you continue to share your genius with the world! I would love to hear what you think would be the easiest tip to implement. Please use the comment section below to share!